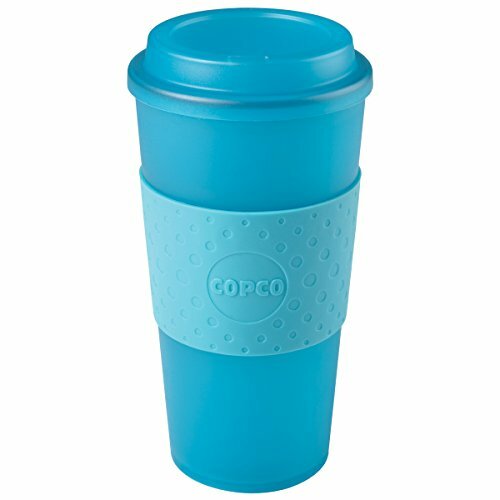 Copco's Acadia reusable travel cup combines function and sleek design and easily replaces paper and Styrofoam coffee cups. Double-wall insulation keeps beverages hot or cold. Made from durable, Boa-free plastic. The cup comes with a textured, non-slip sleeve. A quarter-turn lid sealing design helps prevent leaks and spills. 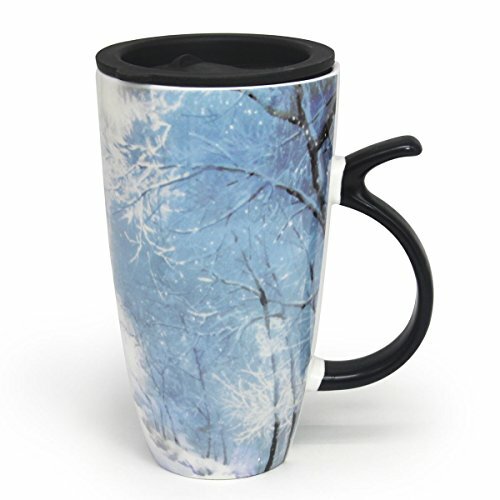 Able to hold up to 16 ounces, the cup is microwave and dishwasher-safe. 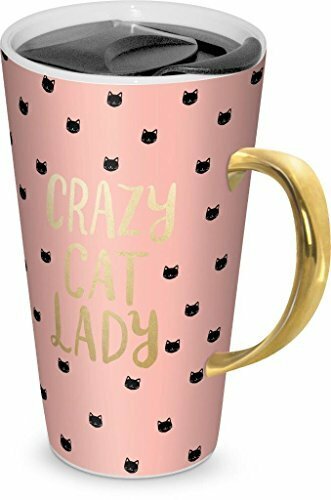 Express yourself with our premium-sized ceramic coffee mug with sealed lid included. With its large easy-to-grip handle, steady base, and hefty 16 oz. 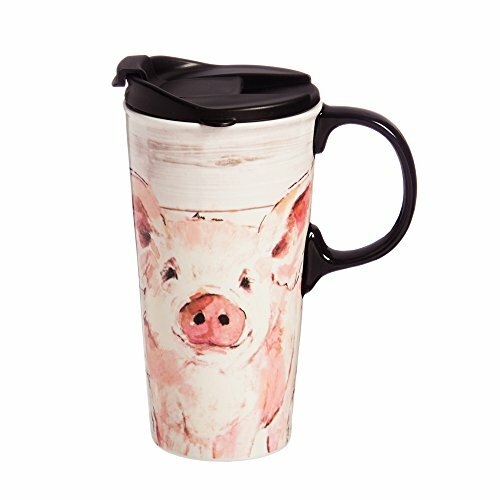 capacity, this mug allows for comfortable sipping and slosh-free use, at home or at the office. Dishwasher safe, it's easy to clean. 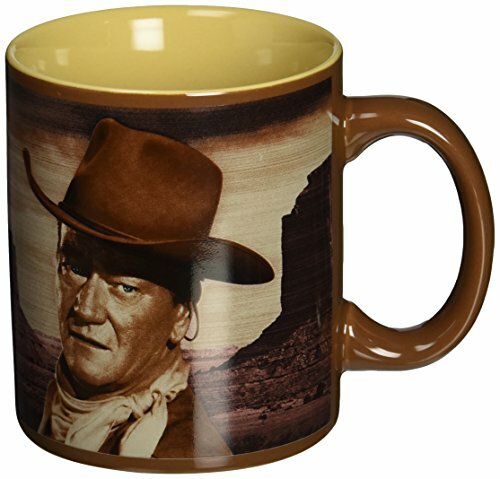 Beautiful Coffee Mug that accents it's surrounding with it's look. Momugs(TM)Unique style and good quality mugs, Easy and comfortable grip handle,Printed using only the highest quality ink to prevent fading, printed on very durable bright white mugs,Absolutely beautiful for a present or as a gift to yourself.NOTE1.Do not expose under the sunshine for long time.2.Do not scrape on the printing with sharp tools.3.Easy to wash.4.Dishwasher and microwave safely.6.Do not scald yourself. 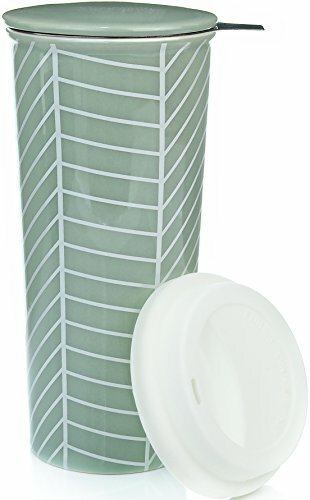 Our tall 16 oz ceramic travel tea mug holds more tea than smaller mugs and comes with a bonus silicone lid to help you transport your tea while you're on-the-go. The removable stainless steel infuser basket makes steeping loose tea easy. Simply add your favorite loose tea to the infuser, and pour boiling water over the basket then cover with the included ceramic lid to steep. When you reach your desired tea strength you are on your way to enjoying a generous 16oz cup of tea! Behold! 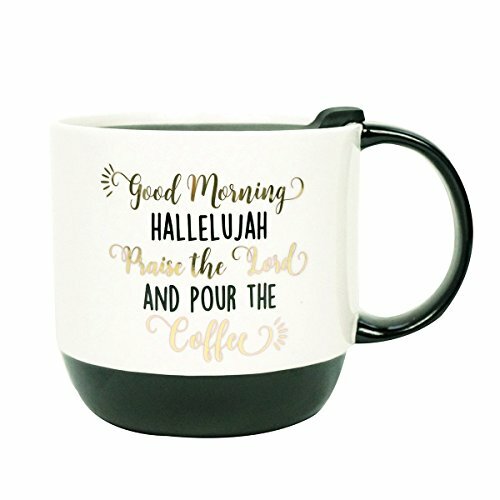 You will never need to find another vessel to carry your coffee to work in the morning, the park in the afternoon or to soccer practices on the weekends- You have found The Perfect Cup. The durable ceramic construction is paired with appealing sleek lines and an artful design. Partnering with a high-end industrial design firm, this unique lid was developed. 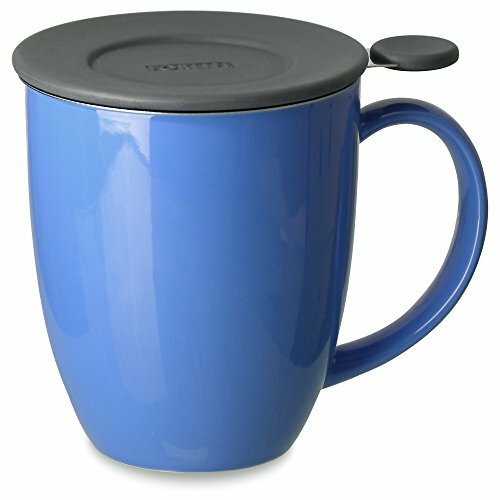 Designed specifically for The Perfect Cup, the "perfect" lid features three rings of silicone to ensure no leaks. The doubled lip plastic ensures a tight fit at the top and fits 1.5 inches into the cup's molded grooves for true security. 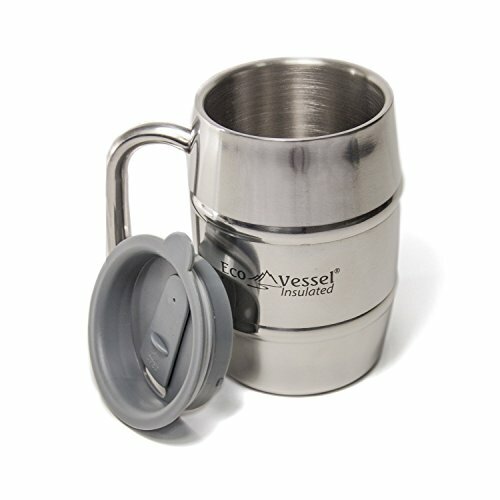 The pop-top attachment provides security, insulation and a comfortable place to sip your coffee. Holding up to 17 ounces, The Perfect Cup is top-rack dishwasher safe and microwaveable. 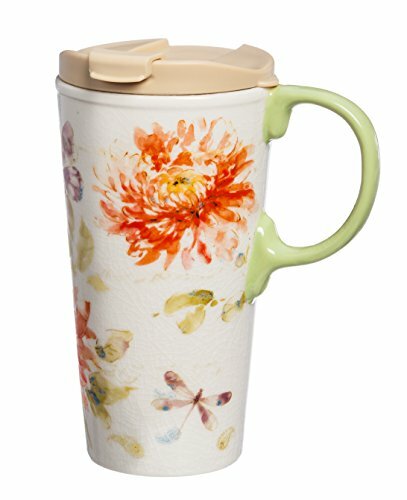 It comes packaged in a coordinating gift box, making The Perfect Cup a great gift-giving idea as well!